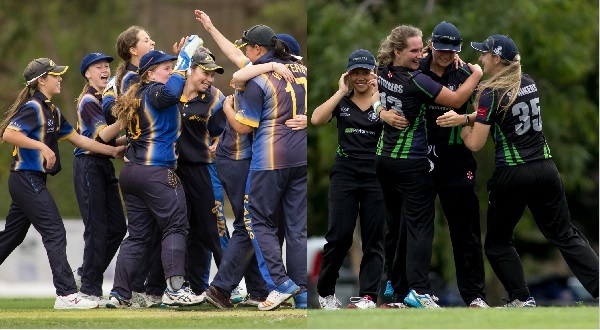 Ringwood Cricket Club and Carlton-Brunswick Cricket Club will join an expanded Women’s Premier Cricket competition this summer after Cricket Victoria delegates voted unanimously to promote both clubs to the top level of competition. Last night’s vote will see the Premier competition expand from six clubs to eight, with all clubs fielding Premier 1sts and Premier 2nds teams. The Premier Reserves competition will be discontinued in an effort to simplify the Premier Cricket landscape and strengthen Women’s Community Cricket competitions in Victoria. As a consequence Coburg, Brighton Districts and Melton Cricket Clubs will participate in an expanded Women’s Community Cricket Competition. Cricket Victoria’s Premier Cricket Operations Manager Mike Ronchi said the decision was an important outcome. “Ringwood and Carlton-Brunswick have both invested considerable resources and energy in the growth of their teams in recent seasons. It is a credit to both clubs that the work has been recognised and they are keen to make the most of this opportunity,” Ronchi said. Carlton-Brunswick has experienced success in the Premier seconds competition in recent years, claiming a one-day premiership and reaching four consecutive grand finals. Ringwood and Carlton-Brunswick also played off in the past two women’s seconds grand finals. The news follows strong overall growth in female cricket in Victoria with more than 100 new junior girls teams created during the 2017-18 season. Victoria remains the leading state in Australia in terms of the number of junior girls cricket teams. Cricket Victoria CEO Andrew Ingleton said the expansion was an important part of growing female cricket in Victoria. “It is pleasing that we can now expand the top level of club competition for women. It will obviously mean greater playing opportunities for emerging cricketers but it is incumbent upon us to continue to develop and broaden the talent pool to ensure the competition remains strong,” Ingleton said. Australian player Elyse Villani’s recent return to Victoria will see her play and mentor at Essendon Maribyrnong Park this season while national team mate Meg Lanning will return for Box Hill Cricket Club following her injury last season.